Inspector Morse's name is as inextricably linked with Oxford as it is with the Times crossword. The pubs, churches, university colleges, stately homes, hotels and countryside in and around the city form a real-life backdrop to Morse's investigations in Colin Dexter's 13 novels. 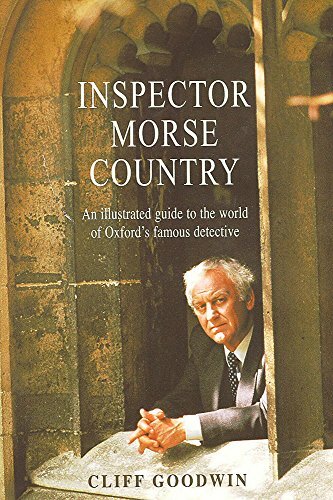 This illustrated guide to the places in which Morse lived and worked is full of facts and trivia for Morse addicts, whether you're an armchair fan or you're visiting Oxford and wish to follow in the irascible detective's footsteps. Cliff Goodwin has been a journalist for 25 years. His biographies of popular icons have sold more than 200,000 copies between them.